The longest word in Icelandic is Vaðlaheiðarvegavinnuverkfærageymsluskúrslyklakippuhringurinn. It's a composed word and means the key ring to the tool work shed in the road works of Vaðlaheiði, a mountain road in North Iceland. The word has often been considered a joke but Morgunblaðið published a photo today of the object in question, the key ring. 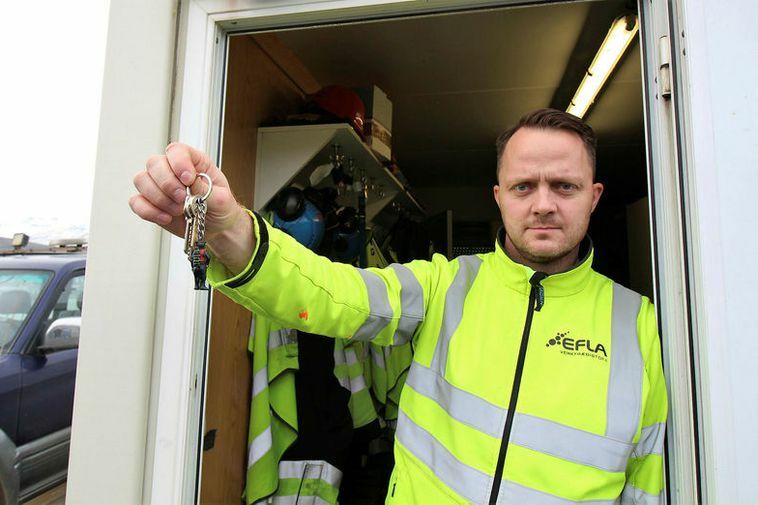 Road work in the Vaðlaheiði tunnel will be finished in a month's time and on the Eyjafjörður side of the tunnel are sheds for the workers, including a tool shed.